What is the be basque talent network? Bring professionals working all over the world in contact with other professionals and companies so as to facilitate talent movement and build contacts and business relationships with all those who have had, have or want to have a relationship with the Basque Country. It is aimed at two types of users. Firstly, any person with a university degree who is interested in connecting with our country, irrespective of their place of birth, their place of residence, the sector or the industry in which they work. Wanting to contact other professionals or companies is what matters. Secondly, the organizations which are interested in contacting professionals who are working in the Basque Country or in any other part of the world, either to consider employment possibilities, start business conversations or just help each other. How does it work? What are the advantages it offers? After registration as a user, either at the Be Basque Talent Network or at Bizkaia Talent, the website provides access to a specific user profile, with employment offers and varied information as well as access to the main services, an information exchange forum on various topics related to economy, culture and work-related issues in the Basque Country, and the main search tool, the Basque Talent Map (emphasize). This tool provides a visual map where we can see the work location, by country and city, of the users of the network and enables us to segment it according to various criteria, such as the occupational sector, the place of residence or origin so that we can find the kind of professional or company we are looking for, while at the same time respecting the privacy that users may establish with regard to their contact details. Besides, those professionals who have not had the opportunity to work or live in our country are also provided with very useful information on the technological, scientific and business potential, the culture and the customs and the quality of life offered by the Basque Country. Join the thousands of people who are already members of the most important international professional network related to one of the oldest but most advanced countries in the world, the Basque Country. With the support of the Department for Economic Development of the Provincial Council of Bizkaia, bizkaia:talent was established in 2005 as a non-profit organisation with a clear mission: to foster and facilitate the implementation of the necessary conditions for attracting, connecting and retaining in the Basque Historic Territory of Bizkaia (Biscay) highly qualified people in the areas of knowledge and innovation. 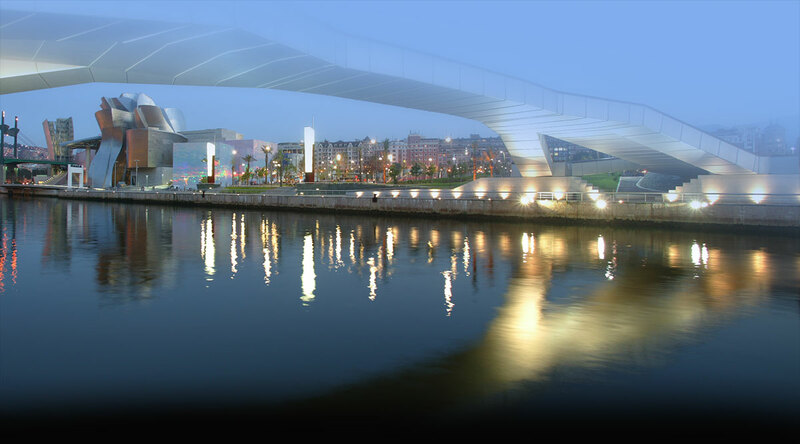 Bilbao, the capital city of Bizkaia is the main economic and financial hub in the Basque Country. Moreover, tourist attractions like the Guggenheim Museum make it the No. 1 travel destination in the Country. As many as 83,706 companies are based in Bizkaia, operating mainly in the automotive, aeronautical, environmental, industrial design and engineering industries. Together, they make a strong and ever-changing business fabric where learning, research, technology and talent play a key role. Bizkaia:talent seeks to promote and improve the most important factor in the development of any region: human capital. In so doing, it takes action to attract talent with the help of the leading companies and universities in the Basque Country. Promoting Bizkaia, the capital city, Bilbao, and the Basque Country as a whole as a destination/brand among professionals, creative people and researchers in areas of strategic interest to the Historic Territory of Bizkaia. Offering services and programmes aimed at identifying, contacting and recruiting highly qualified people to work in organisations and carry out projects in Bizkaia. Coordinating and facilitating contact with public or private organisations in actions that share our mission’s principles. Making public policy recommendations and participating in the design of policies in the bizkaia:talent field of action. We are striving to become leaders in the Basque Country and a model in Europe for the management of highly qualified people in the fields of science, technology and business. We believe in strong values like professionalism, innovation, empathy and proximity, dynamism and creativity.